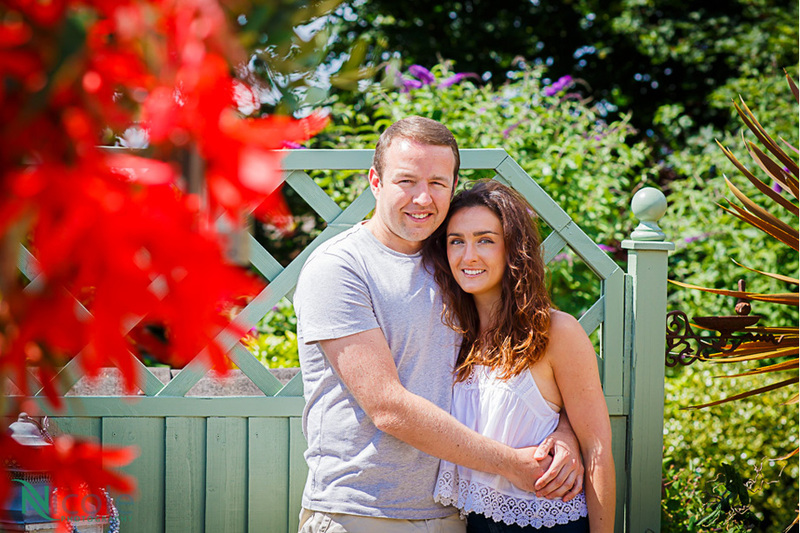 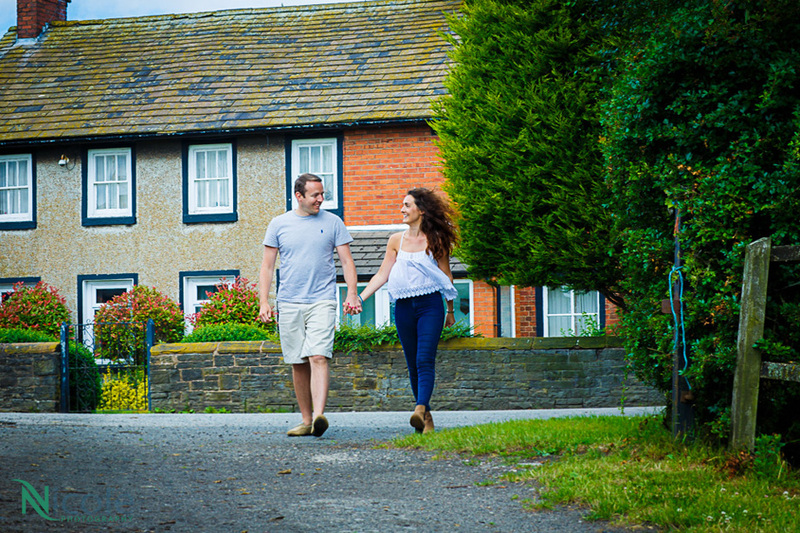 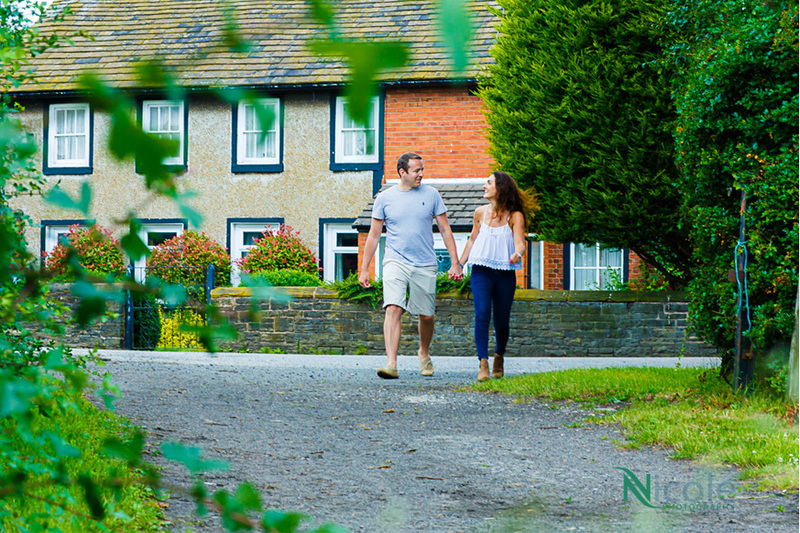 Becky and Dave are local to Rainford, St. Helens, and are eagerly counting down the days to their wedding at the Manor House in Aughton. 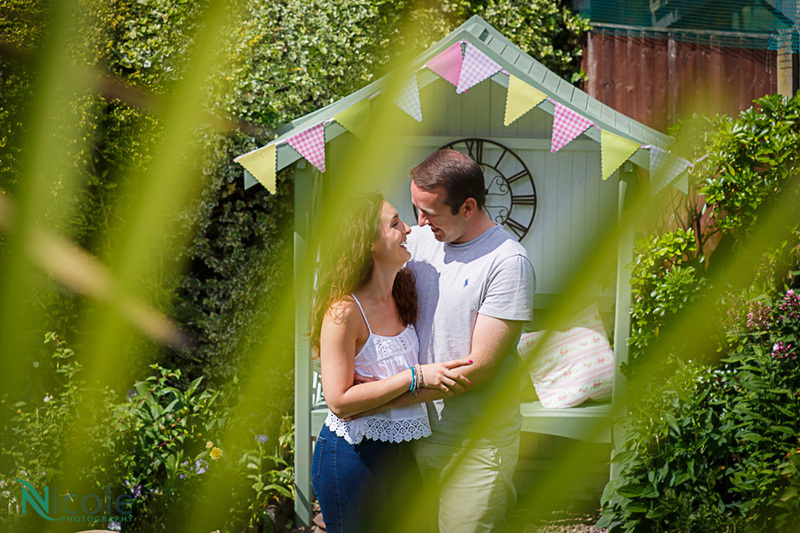 The day was warm and sunny with great lighting for their pre wedding photos. 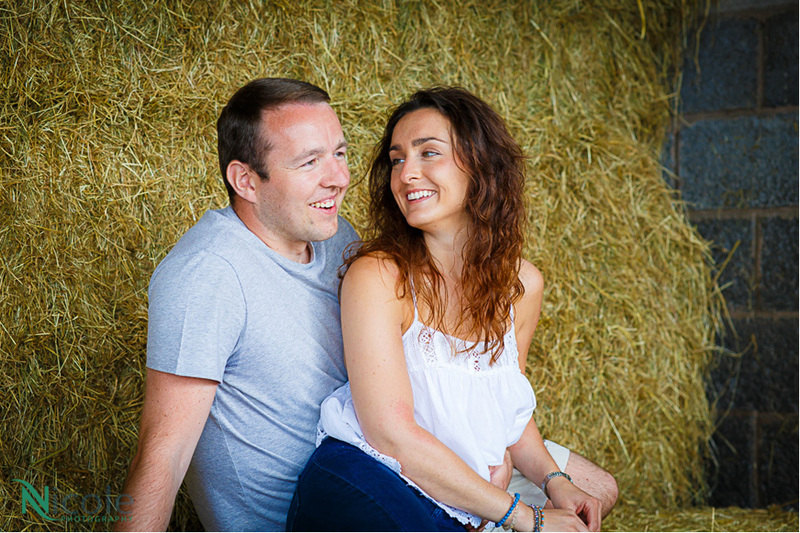 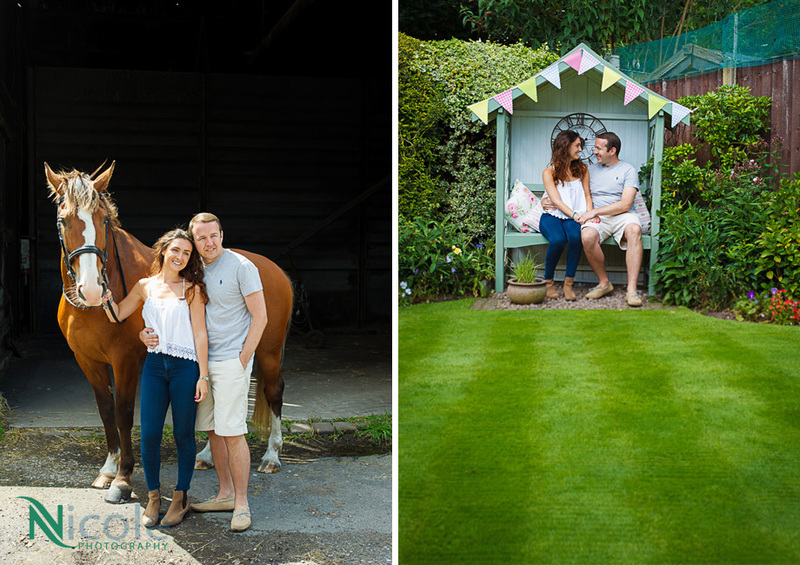 Inglewood Farm was the perfect setting for their perfect photo shoot. 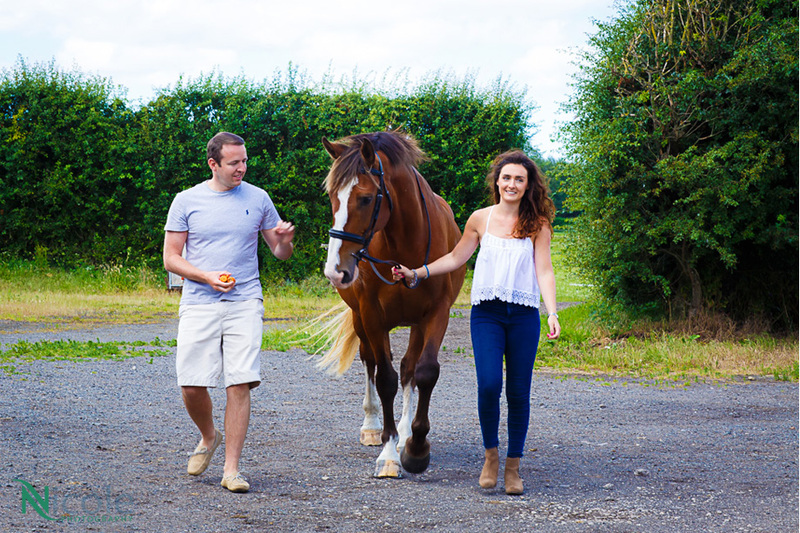 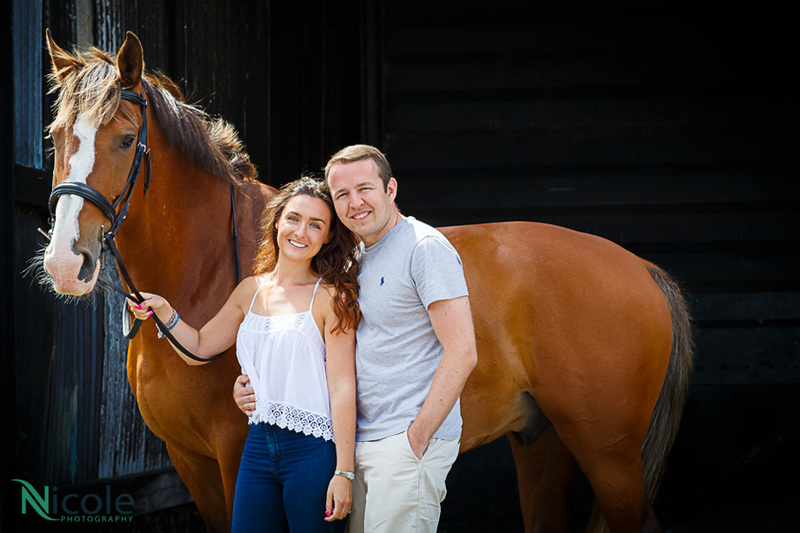 Becky is a keen horse rider and regularly rides, and has her horse stabled there. 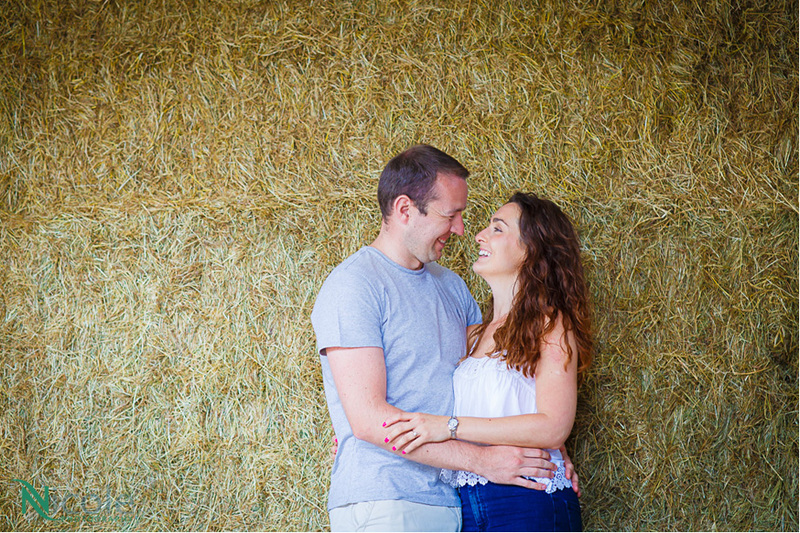 We made full use of the farm and surrounds, from the walk in to the farm to the hay bales stored in the hay shed. 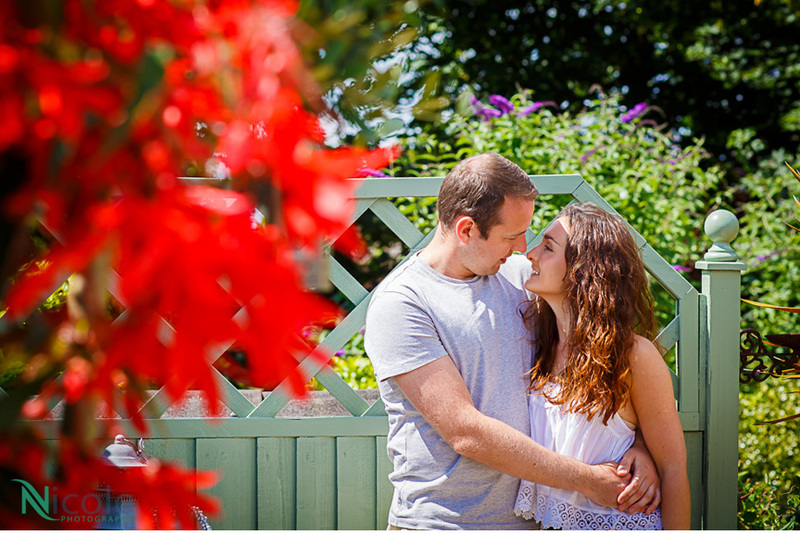 In their parents garden, the red geranium flowers made a great frame for the photos of them – even Becky and Dave’s dogs got in on the photo shoot! 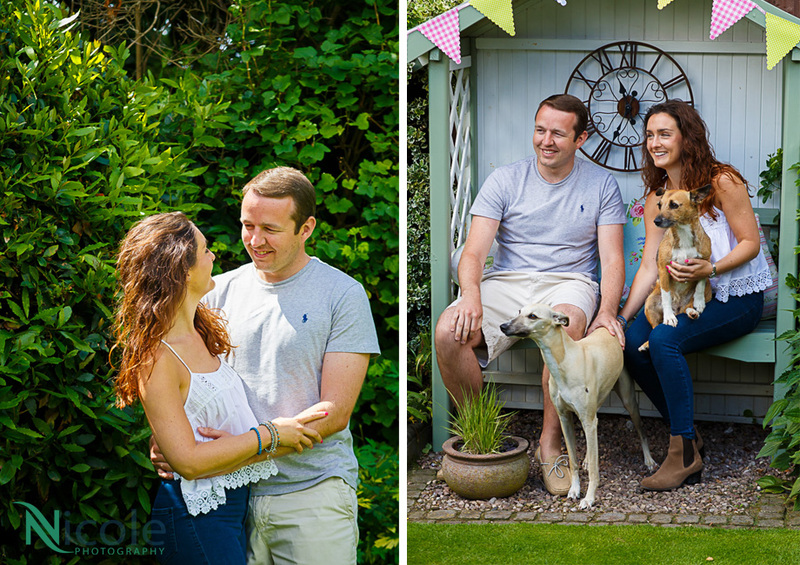 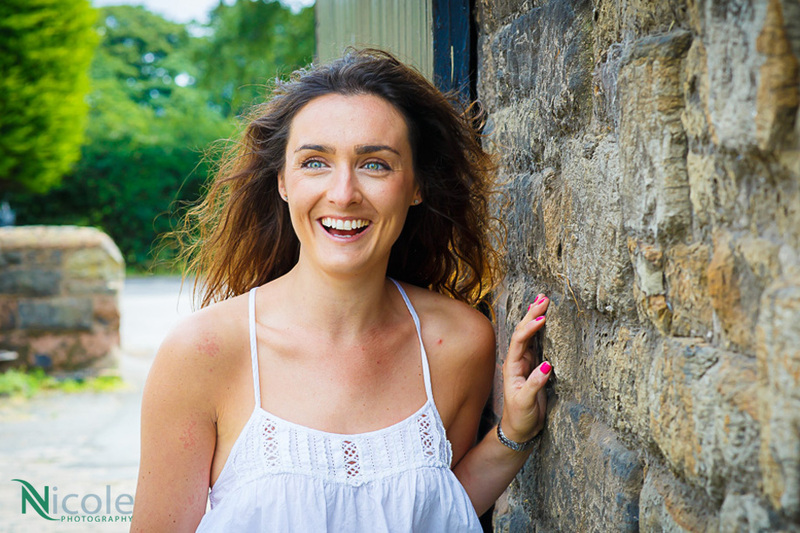 We are now awaiting their wedding day, and are looking forward to documenting the day as it unfolds – a story in photographs – such a fun couple to be with. 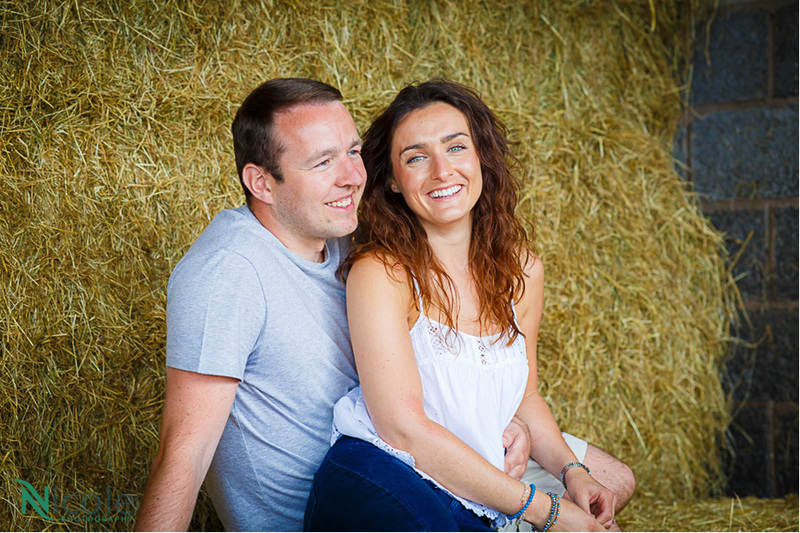 If you liked the photos below, please comment or if your are getting married and would like to discuss your wedding photography plans – contact us here or give us a call on 07910621134.